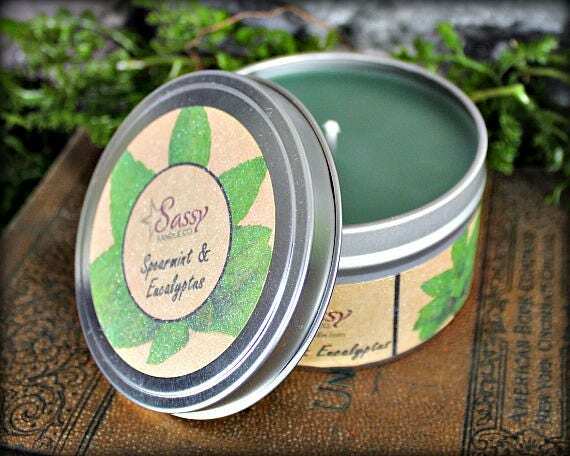 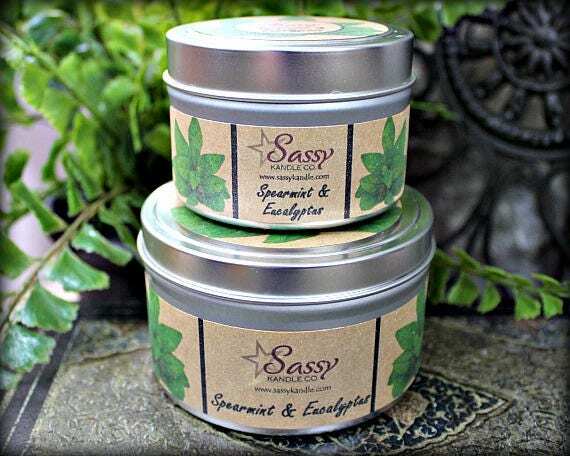 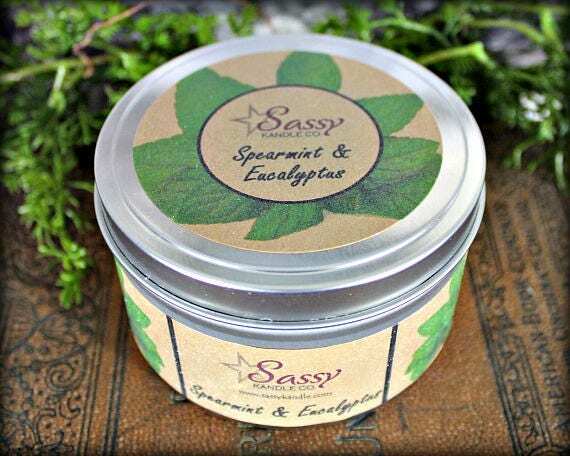 SPEARMINT & EUCALYPTUS | Candle Tin (4 or 8 oz) | Phthalate Free | Sassy Kandle Co.
Fragrance: SPEARMINT & EUCALYPTUS - This fragrance will delight your senses and clear your mind with fresh, minty spearmint and relaxing eucalyptus. 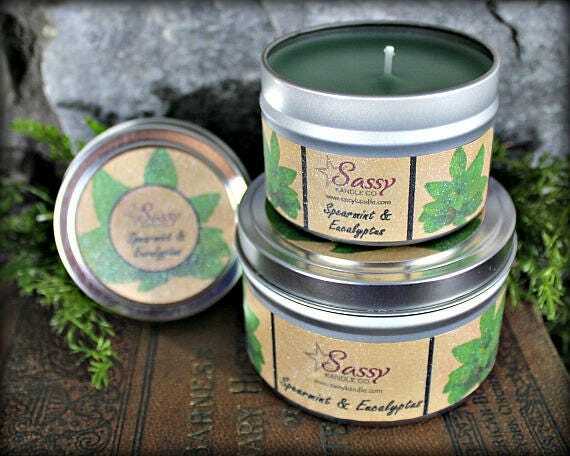 Notes of soft musk, bergamot, and citrus. 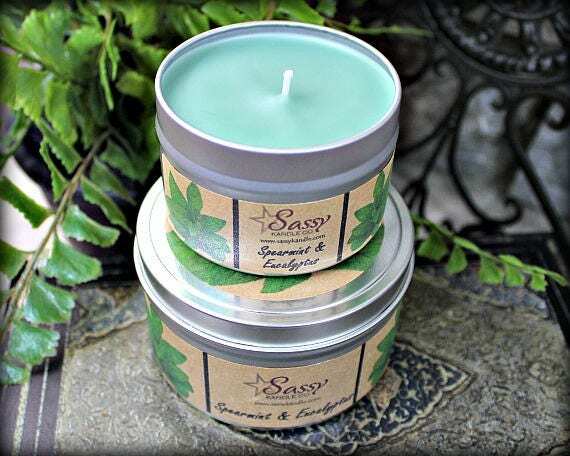 Compare to B&BW Stress Relief.